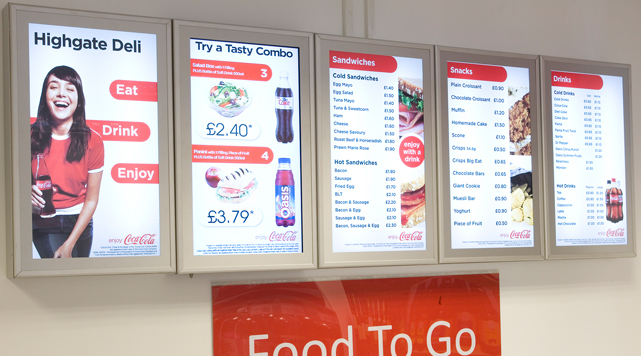 In a drive to increase their drinks sales in independent retail outlets, Coca-Cola asked us to supply bespoke, high-quality branded menu boards to promote ‘meal deal’ offerings. We worked one-on-one with Coca-Cola’s sales force to develop suitable products and then educate and oversee the programme, which included guiding their representatives through the entire process from order to installation. 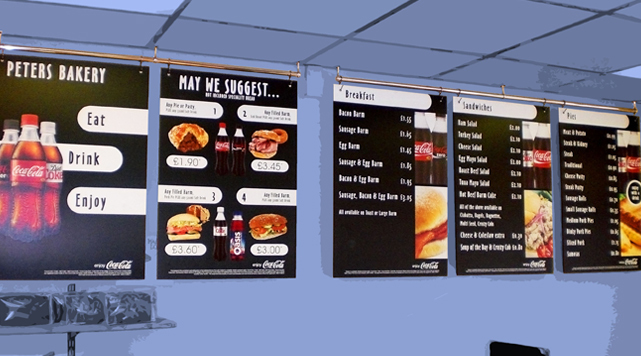 From the initial proofs and artwork to installation, we project manage the complete process, producing a menu board system bespoke to each site yet consistent in look and feel across the board. 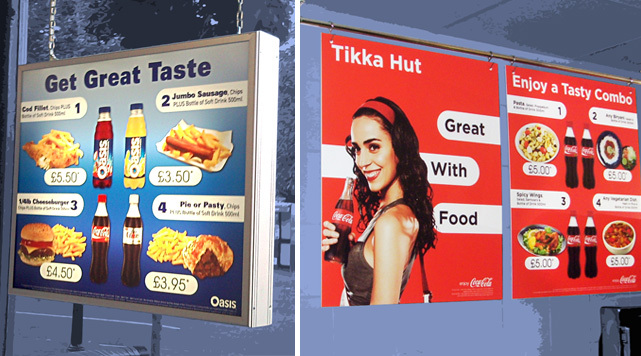 This involves designing and producing, templated artwork to work with mix-and-match panel sizes to fit any area as well as a branded digital option. We also came up with a comprehensive product and food image library to work with the artwork templates to visually communicate the varying meal deal offerings and showcase CCE Proudcts. We now maintain the sites to make sure they stay looking great and up-to-date with the look and feel of Coca-Cola’s brand.